Our bodies have two priorities for optimal performance; to breathe and to move correctly. Most athletes and people, in general, do not. So their bodies find a way to meet those priorities by creating harmful and inefficient compensation patterns. Compensation patterns are the root cause for many non-contact sports injuries, as well as, every day aches and pains the can limit our performance. RPR is a technique that uses specialized wake up drillsTM to shift our bodies out of these patterns and reduce pain, increase flexibility, and help our bodies become more resilient to injury. These wake up drillsTM use special reflex points that reset the body out of these compensation patterns, and the cool thing about it is that we all can these wake up drillsTM ourselves, thereby taking control of our own health and performance. However, the RPR system is more complex than these wake up drillsTM. 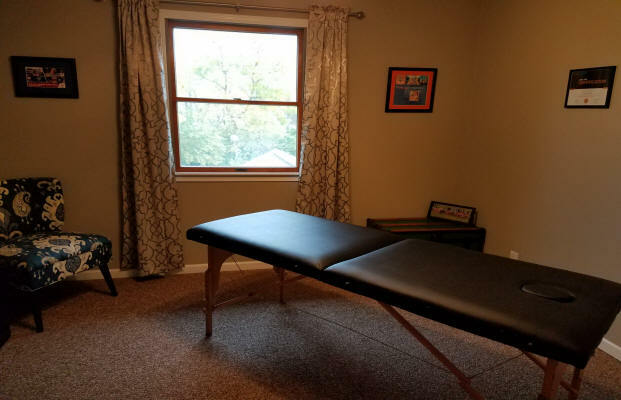 It actually starts with a certified RPR specialist identifying what the body is currently doing with simple strength and flexibility tests, so that changes can be clearly measured later. The next step is to reset the body into breathing correctly, and then, as needed, reset the rest of the patterns throughout the entire body to get it into performance mode. Once reset, you should experience reduced aches and pains, increased flexibility and be more resilient to injury. We have found with most of our clients and athletes that we have performed a full reset on, that they have felt results that were immediate, massive, measurable and, for some, unbelievable. We have seen improved performance in running, soccer, basketball and everyday functional movement. Joe is a certified Level 2 RPR Specialist. Reflexive Performance Reset is not a treatment for injuries and is not intended to treat, fix, manipulate or otherwise replace medical advice and/or treatment. It is intended as a means to a more effective way to get maximum performance out of athletes and to help keep them injury free.